After an exciting December and January, the stock market has become quite dull. Stocks are still performing, but few indicators are showing any sort of extreme or giving any kind of strong signal. 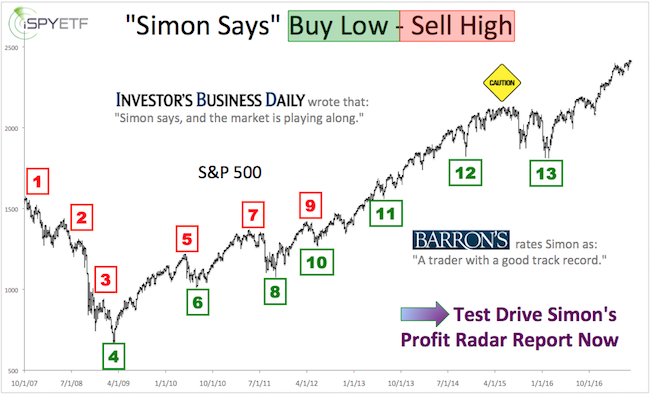 How can you find an edge in a dull market? What's the point? The market is the composite opinion of all other investors. 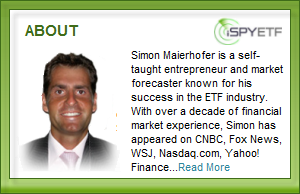 In essence, you beat 'the market' (aka the 'bear') by knowing more than your fellow investors (aka the other ‘hiker’). Knowledge is the edge. Short-term: The S&P 500 is nearing over-bought and is facing mild resistance. 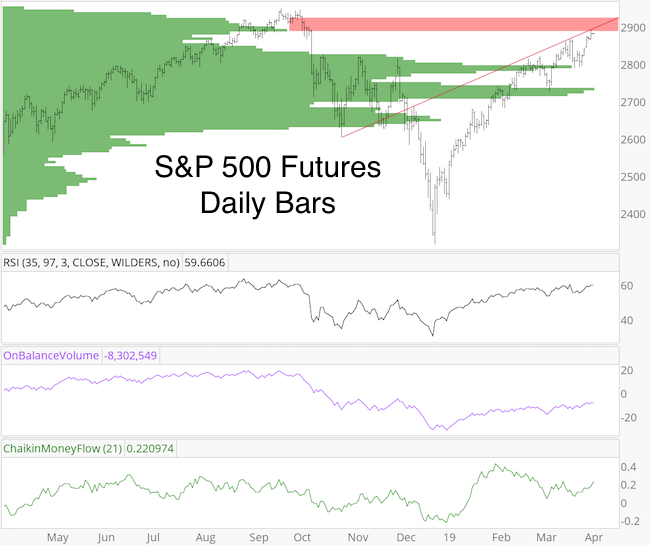 The chart below highlights trend line resistance and horizontal volume resitance (volume by price not date) for the S&P 500 futures. Now doesn't appear to be the time to chase price.